Very Good. Queen Bees and Wannabes: A Parent's Guide to Helping Your Daughter Survive Cliques, Gossip, Boyfriends, and Other Realities of Adolescence by Wiseman, Rosalind. Sewn binding. Cloth over boards. Good. 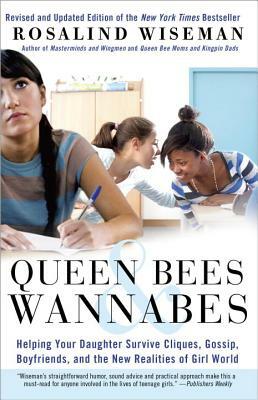 Queen Bees and Wannabes: A Parent's Guide to Helping Your Daughter Survive Cliques, Gossip, Boyfriends, and Other Realities of Adolescence by Wiseman, Rosalind. Sewn binding. Cloth over boards. Very Good. A bright, square, and overall a nice copy. by Anthony E Wolf, Ph.D.